I was wondering the same thing? Any answers? On the Dr Oz Show they said that the club soda is a final rinse… So I do not think you should rinse it out afterward. I was wondering if it washed hair color out? I wanted to try it but I dye my hair and don’t want it to strip it??? Good question Amber! I am not sure because Dr Oz did not say anything one way or the other regarding using club soda on dyed hair. If you test it out on your dyed hair, please report back and let everyone know how it worked for you! One idea would be to do a small test on a small section of your hair, just in case the club soda does do something to the dye in your hair. OK. Thanks. I just thought it would be sort of “sticky”, but I’ll try it. I do not think there will be any sticky residue, being it is just pure water with carbonation. There isn’t any sugar, syrup or any other type of sweetener in the product. O que é club soda? Aquela garrafinha tipo refrigerante? FWIW: If your area has hard water (has a lot of dissolved minerals, like calcium & magnesium, in it) club soda WILL break up the built up minerals on your hair, and some of that will drip off with the club soda, leaving it less ‘mineralized’ than your tap water would. Some, though, will be loosened but still be left on the hair. If you REALLY want all the minerals off, follow the club soda rinse with distilled water (which has NO minerals in it) to leave your hair purely clean. Club soda rinsing hasn’t effected my hair dye at all. Hi, so i missed that episode but i can’t find it on his website…i was wondering if someone had the link to the video…i would greatly appreciate it! thanks! what do you do with the club soda, do you leave it in your hair or rinse it out. is it good on dye hair. Hmm, club soda is the one without sugar in it, right? Just fizzy water? If so, then no need to rinse out. Eek, I’d worry about stripping color, too. I did rinse with the club soda and it did not affect my hair color (I also color enhance my hair). I did rinse the club soda out. Maybe I should not have done that. Next time I will leave it in and report back. About the club soda rinse I was also wondering about using on hair that has been colored or dyed. Will it strip your color, and also will you have to color more often? Thanks. I used club soda when I washed my hair last time.I used it as final rinse as Dr. OZ said. I saw a difference immediately and my hair looked so nice and silky. I couldn’t stop myself to touching my hair again & again. But I did not see anything like anti-freeze. My hair looked same as were before after they dried.May be I have to keep rinsing with it or may be it was not enough for my long hair (I used 1 ltr bottle). I don’t know anyone has tried yet or not.If anybody did then please tell me the results. I gess I will try again tomorrow by rinsing again if I see any more difference. I tried it and did not affect my color. It is softer but still very frizzy. 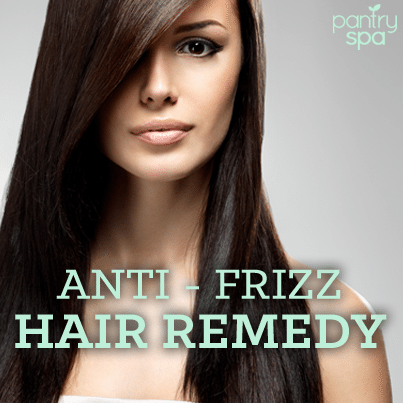 Is there maybe another solution for frizz? Club soda here in UK & Eire is an orange drink… can someone clarify what you lot in the US mean? i.e. diet coke? fizzy water? tonic water? obviously a sugar free fizzy drink, but of what kind? cheers ~ hope I can get an answer coz the last reply here was back in Feb!! loving this site, it’s the 1st one face-ache-book ever reccomended to me that I like! CLub soda is a clear fizzy, essentially tasteless drink…. I think it may be tonic water, but no flavour.